GREATER GRAND CROSSING — Chicago police say Geremy Hoover, a relative of imprisoned Gangster Disciples former leader Larry Hoover, was fatally shot in Greater Grand Crossing Sept. 22 during a botched armed robbery that turned deadly. But in the violent streets near the murder scene, rumors swirled it was a gang hit aimed to send a message to the powerful family of Larry Hoover, who is serving six life sentences in federal prison. Geremy Hoover, 24, of Englewood — Larry Hoover’s second cousin — took two bullets in his face in broad daylight near 72nd and Wentworth and died three days later at Stroger Hospital. It’s the kind of killing that typically sparks bloody retaliation. Geremy Hoover’s grieving mother said she wants to send a message to warring gang factions, drug dealers and murderous thugs who continue to plague poor black neighborhoods with senseless violence. Area South Detective Division Cmdr. Joe Salemme said witnesses told investigators that at 1:15 p.m. Sept. 22, an armed man approached Geremy Hoover near 72nd and Wentworth, asked to borrow his cell phone but then started to rob him. Witnesses told police Hoover ran away and was shot in his chin. The shooter then stood over Hoover, shot him in the face a second time and stole the contents of Hoover’s pockets. Salemme said the investigation remains ongoing, but his detectives haven’t received much information from witnesses or community members who might be able to identify the shooter. Dinah Hoover, who is Larry Hoover’s first cousin, said the incarcerated former gang leader is upset about her son's death. On Sunday, Chicago police had no one in custody but were still interviewing witnesses. Salemme echoed Dinah Hoover’s call for people to work with police rather than resorting to street justice. 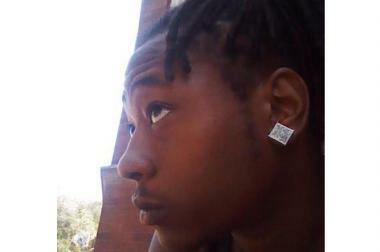 Geremy Hoover, 24, of Englewood — a cousin of Gangster Disciple gang leader Larry Hoover — was murdered Sept. 22. His mother wants people to break the no-snitch code and turn his killer into to police rather than seek street justice retaliation. During the first six months of the year, Chicago detectives had cleared more murder cases than during the same time frame in 2012, but Chicago’s infamous “no-snitch code” remains the biggest roadblock to solving murders in Chicago, Police Supt. Garry McCarthy has said. Dinah Hoover said her son’s only affiliation with the Gangster Disciples was by his last name. He wasn’t a “punk,” either, she said. In fact, Geremy Hoover volunteered with Ceasefire, helping to defuse conflicts between rival gangs to avoid retaliation shootings. Geremy Hoover also worked for his mother’s transportation company, which specializes in taking disabled and elderly people to doctor’s appointments. 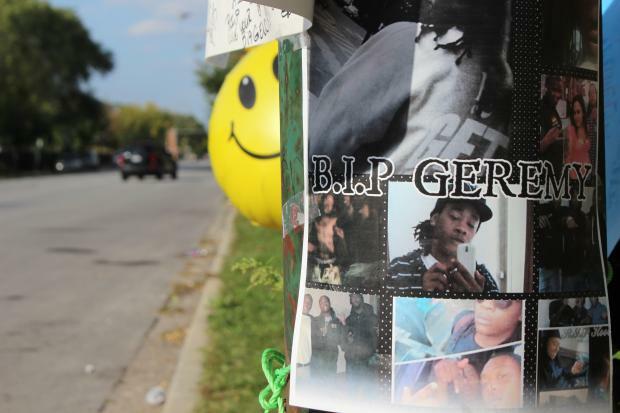 She hopes making it known that her family has no interest in seeing Geremy’s murder avenged by street justice that more people will cooperate with police to catch her son’s killer and other shooters in Chicago. “I just want [Geremy’s killer] to know they could have done to you what you did to my son, but it’s my wish that they not do that to you,” Dinah Hoover said.